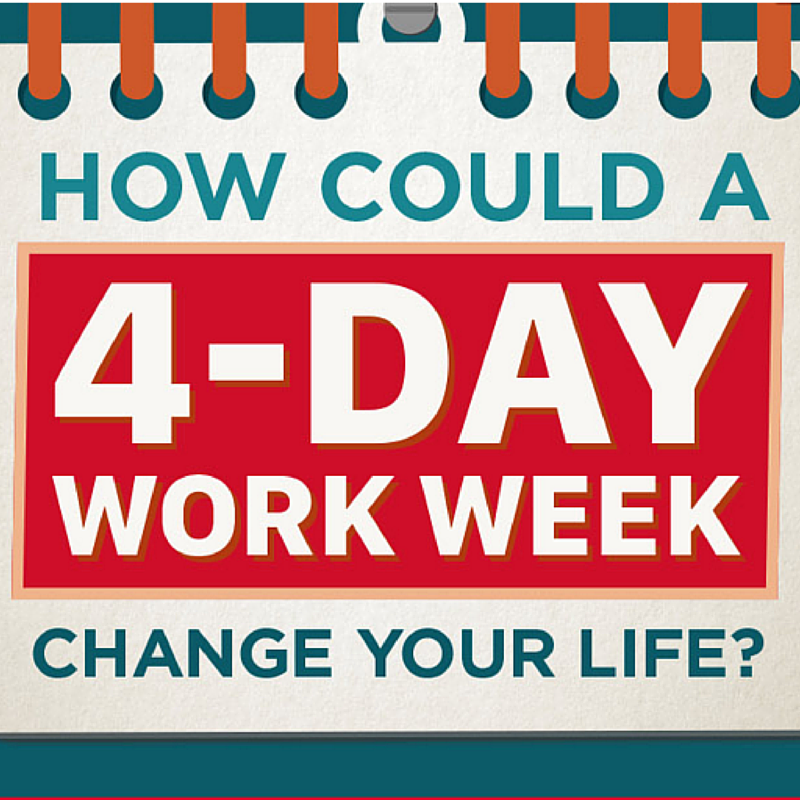 So many of us talk of working a four-day week, but is it just wishful thinking, or could it truly be a reality one day? Countries such as Germany, the Netherlands and Denmark are closest to achieving this dream, so what’s the possibility of other countries including the UK following suit? Economist John Maynard Keynes predicted back in 1930 that technological advances would enable the average employee to work for just 15 hours a week, by 2030. But with the average employee still working a five-day week, does it seem feasible that we could more than halve that over the next 15 years? More than half of Britons support the notion of a four-day week, with 71% believing it would make them happier. Not surprisingly, 42% of American workers say they would be prepared to sacrifice a proportion of their salary for reduced working hours. GoToMeeting Australia has put together a detailed infographic which builds out the case for a four-day week, highlighting the pros and cons. As the infographic explains, obvious benefits include reduced stress levels, more time to exercise, eat healthily and sleep, along with a 50% increase in family time. From a business perspective, a four-day week can also create more focused work time, along with an increase in efficiency and employee empowerment. It can also help employees to have higher levels of morale, and show more loyalty to their employer. But the drawbacks can be longer working days, where work is more intense during those reduced hours. This could lead to greater physical strain and exhaustion, and for some, it could incur a reduction in salary. Additionally for employees with children, longer working days could create significant childcare issues. In terms of how a four-day week is made possible, a handful of trailblazing companies have already begun experimenting, with mixed degrees of success. While US firm DigitalRelevance maintains a 40-hour week condensed into four days, online education company Treehouse has reduced its working hours to 32 per week. Both report enhanced productivity, and the latter claims 120% annual revenue growth, and positive benefits in terms of morale and recruitment. Meanwhile, the state of Utah, which was the first in America to institute a four-day working week for its state employees, has not quite realized the expectations it hoped for, where the target annual savings of $3m has only been $1m.